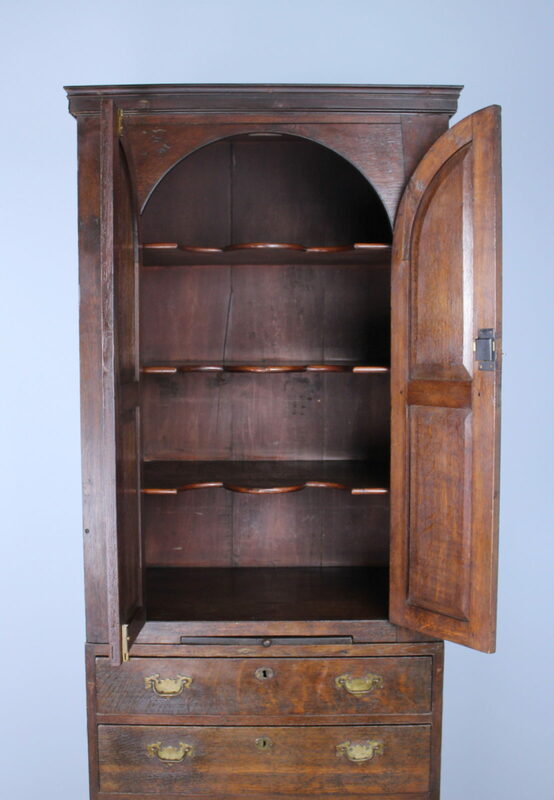 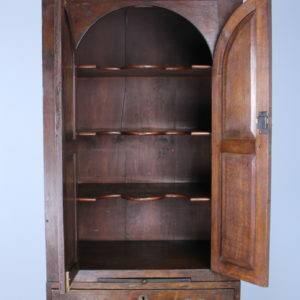 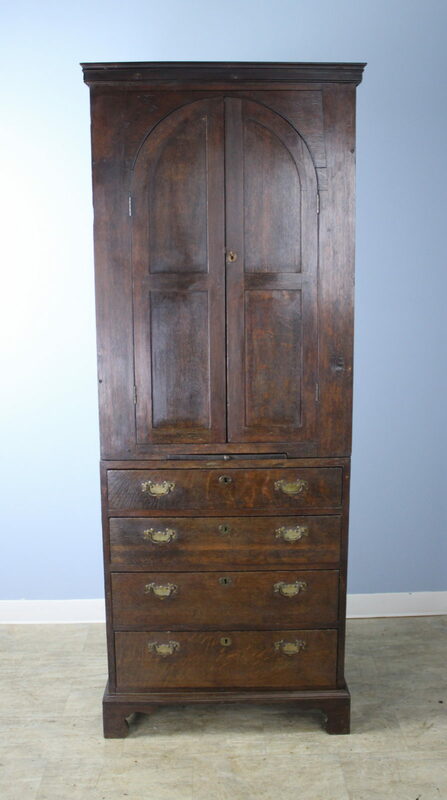 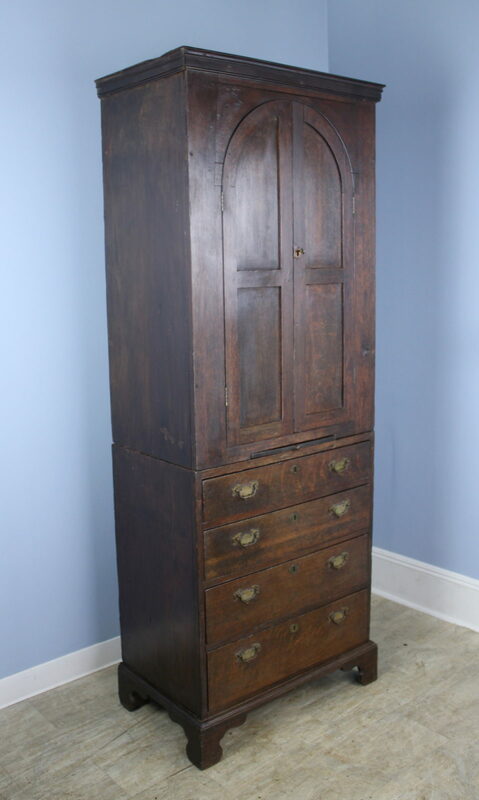 An early tall cabinet with scalloped shelves on top, and a classic 4 drawer construction at bottom. 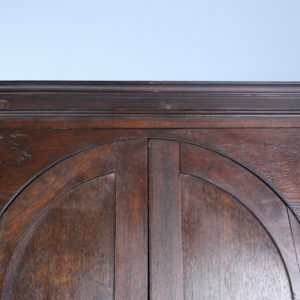 Wonderful arched pattern on the inset panels on the doors. 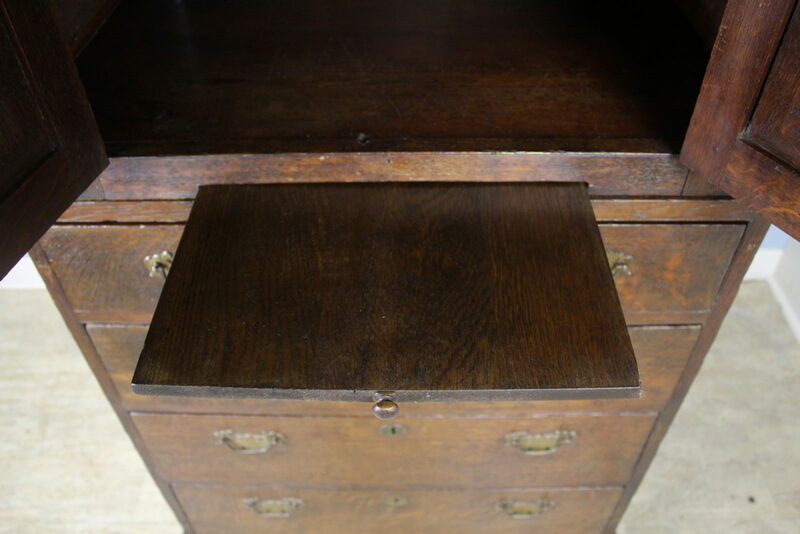 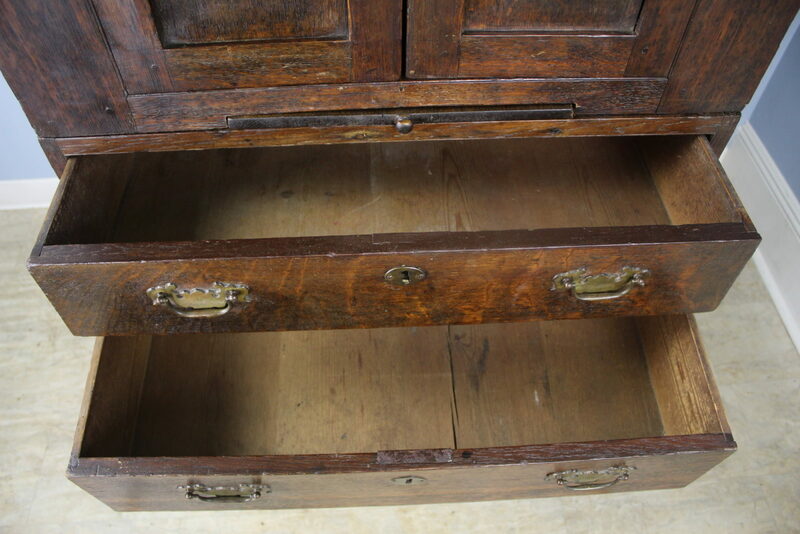 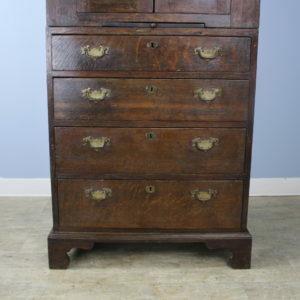 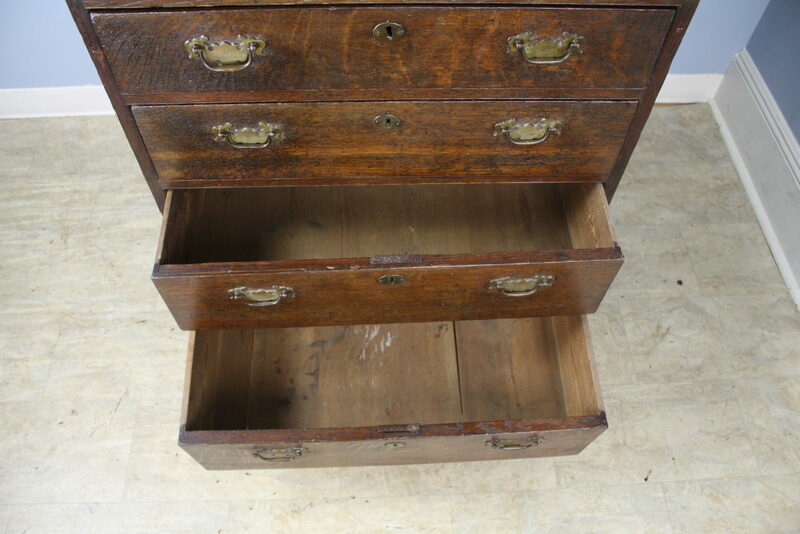 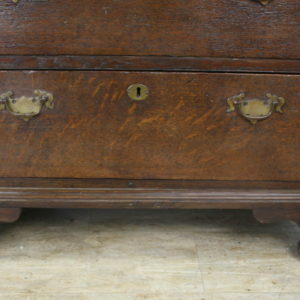 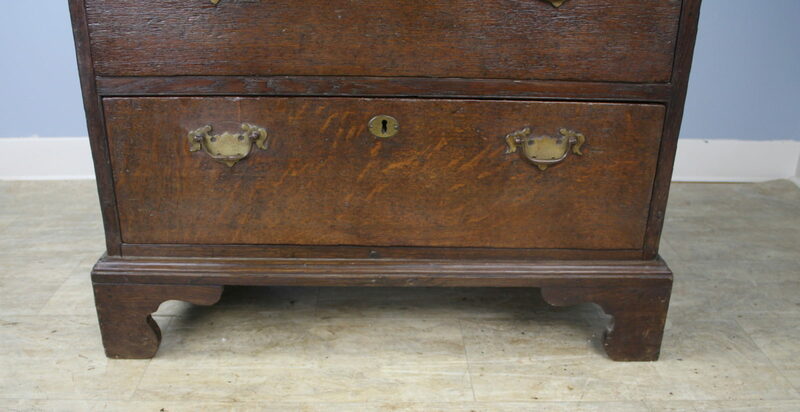 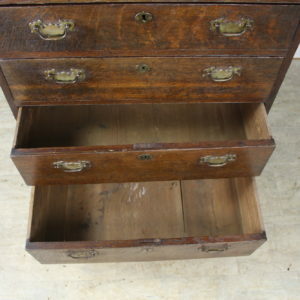 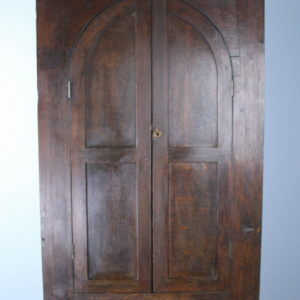 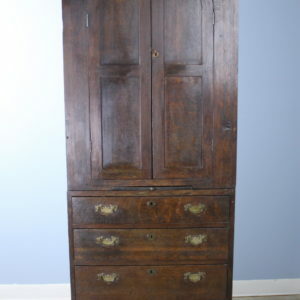 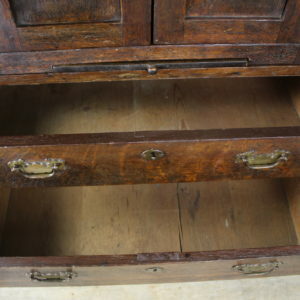 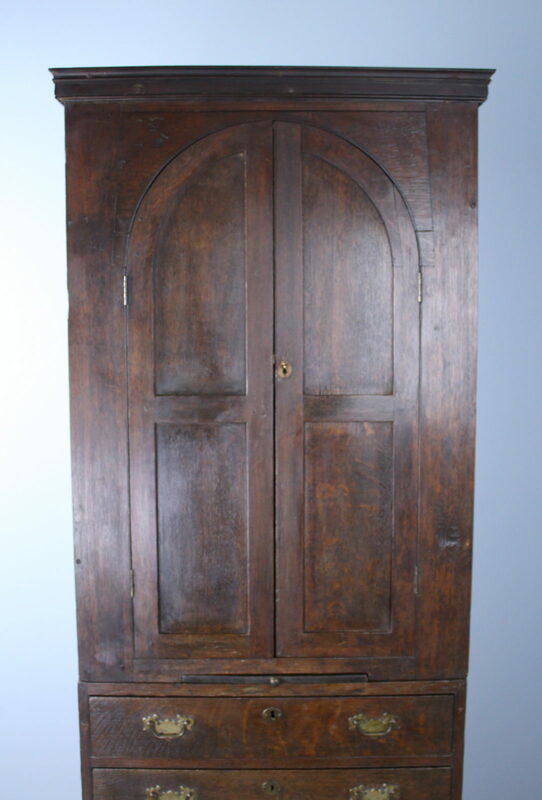 The wood is in good condition considering its age, and the roomy drawers slide well. 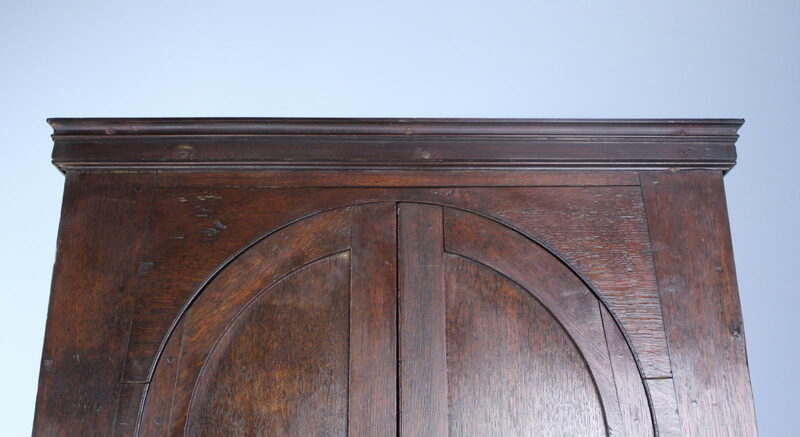 Classic moldings at the top and plinth at bottom. 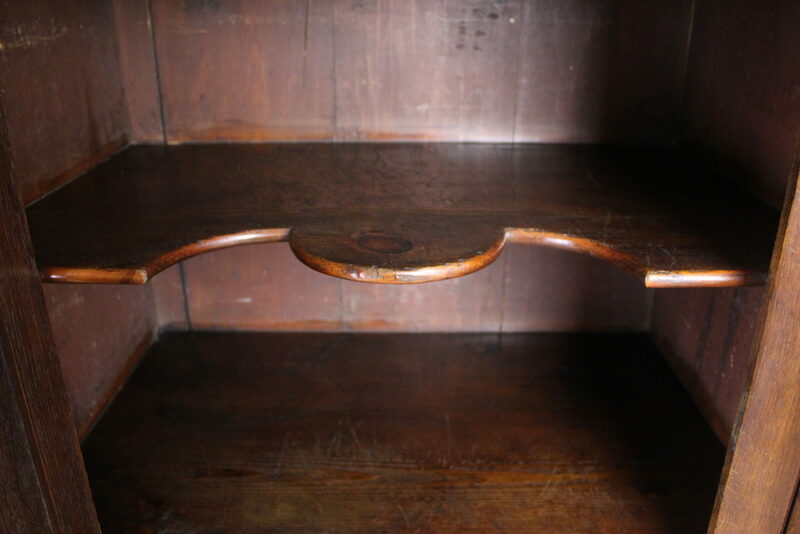 There is a small slide-out shelf at the center which is quite sturdy and provides another element of functionality. 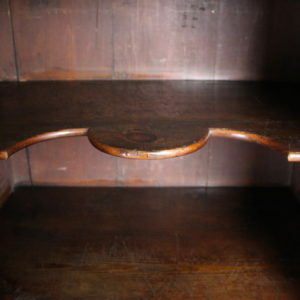 Please note that there is a separation between two of the planks at the back, visible in image #5. 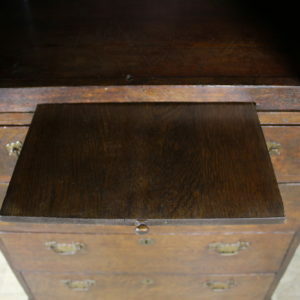 This does not affect the stability of the piece.